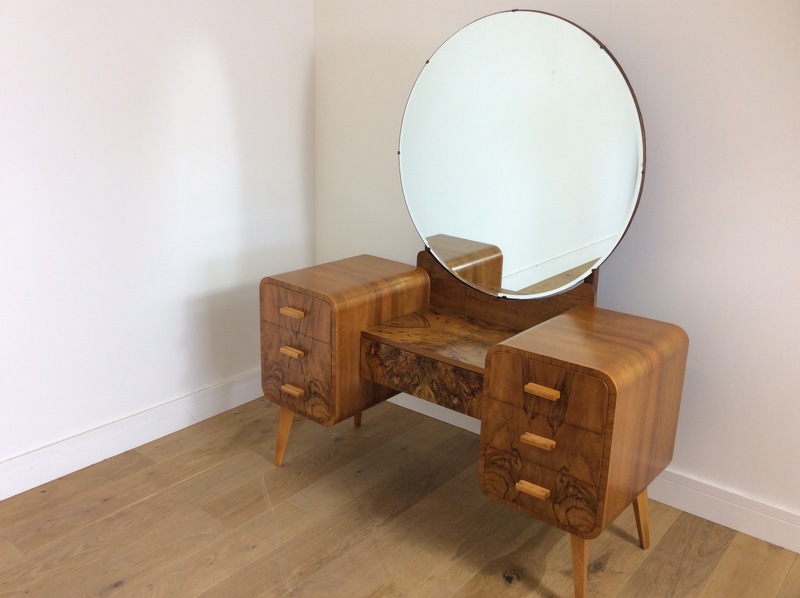 ART DECO DRESSING TABLE | Interior Boutiques – Antiques for sale and mid century modern furniture, french furniture, antique lighting, retro furniture and danish furniture. 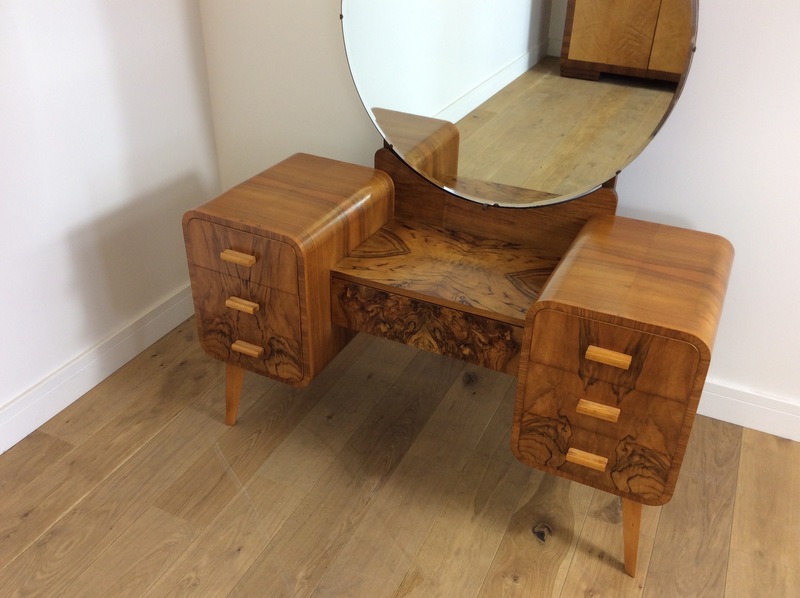 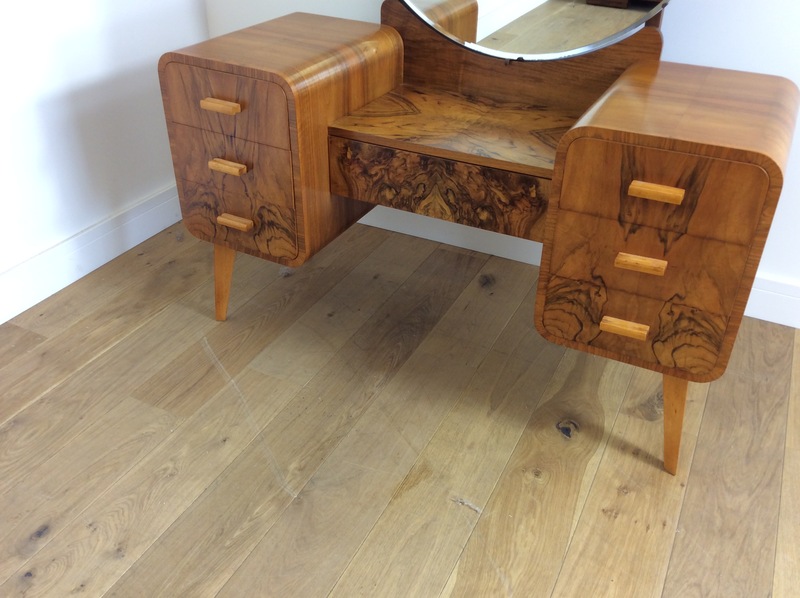 Beautiful Art deco Dressing Table in a Stunning Figured Walnut. We source and offer the very best in Mid Century modern Design and Art Deco, with over 35 years expertise, take a look at our vast stock catalogue to view Great Design, Top Quality, Individual Pieces. 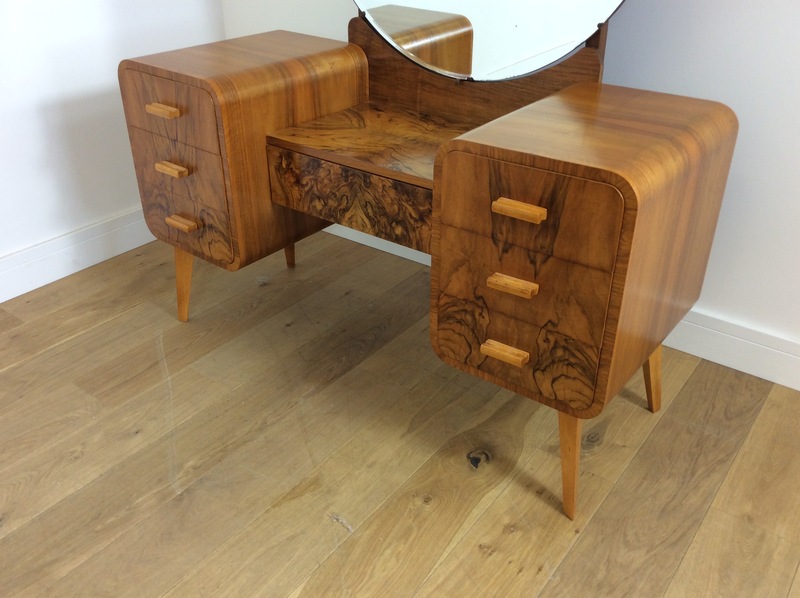 We have Two London Galleries open daily, you are also welcome to come and view at our large warehouse in Southampton by appointment.